A couple of weeks ago, my mom told me how my aunt (my late dad’s half sister) was planning to dig up my grandfather’s bones (her dad’s), buried in one of his properties far from where we are at present, in order to bury them next to her mom’s grave. Although the elderly in our town have determined that my grandfather’s remains must be buried next to his first wife, my dad’s mom, my aunt who is the second family of my grandfather decided otherwise. This is because the wife of my uncle, my dad’s only remaining sibling, did not agree to the concept of digging up a loved one’s bones and have it buried in a new grave. My aunt’s disagreement to the idea of digging up a family member’s bones and transferring them to a new grave stem from her misinterpretation of Matthew 8:21-22. She thinks the Bible condemns this practice based on Jesus’ harsh response to one of his disciples. A major mistake that people make when interpreting the Bible is that they do not interpret it based on context. In order to properly interpret any passage in the Bible; you have to understand its meaning based on the context of the author’s culture and perspective. Matthew 8:21-22 is one classic example of how many Bible readers miss the context because they are attempting to interpret it from the Bible alone. When we do this, we can come up with a wide variety of interpretations. Christians who are not in favor of giving our dead loved ones a proper burial use this text to justify their belief. They argue that Jesus Himself did not give it that much importance as evidenced by His answer to one of His disciples requesting for a leave of absence in order to bury his father. In this passage, Jesus and His disciples were crossing to the other side of the lake when one of His disciples hesitated so he made an excuse to first go bury his father. But Jesus rebuked him with a statement of irony and challenged the disciple to follow Him. Some consider what Jesus said to be harsh, suggesting that He was encouraging His disciples to break the 5th commandment, “Honor your father and mother” (Exodus 20:12), by not giving their fathers a proper burial. If Jesus was in fact telling this disciple to ignore his father’s burial, He would be causing a violation of this commandment. However, there’s no need to spiritualize the text regarding the dead because they are both dead. The text indicates that both occurrences of dead are connected in a reflexive possessive relation. 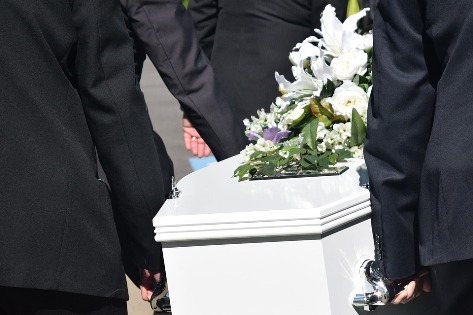 This interpretation of the text means that the burial of a dead family member should never get in the way of a Christian’s ministry of preaching and sharing the gospel of Jesus Christ. Instead, he should just let the non-Christian members of his family take care of the burial ceremony. The man was not supposed to postpone accepting the call to follow Jesus as an active disciple. And the same applies to anyone who wants to become a follower of Jesus today. The problem I see with these two interpretations is that they are not consistent with the text and with Jewish burial practices of the first century AD. Did you know that in Jesus’ culture, the obligation to bury one’s father took precedence even over saying the Shema (The Challenge of Jesus: Rediscovering Who Jesus Was and Is by N.T. Wright)? So how could Jesus tell His disciples not to go bury their fathers? According to first-century Jewish burial customs, when a person died, they were normally buried immediately (usually on the same day) in the family burial cave that had been hewn out of bedrock. This custom is based on the injunction found in the Mosaic Law not to leave the corpse of an executed person on the tree overnight (Deuteronomy 21:22-23). After the body was placed in a burial cave and is left to decompose, the family will separate itself and mourn for seven days. This initial mourning period is called shivah which is followed by a less intense 30-day period of mourning called shloshim. However, the entire mourning period was not fully over. 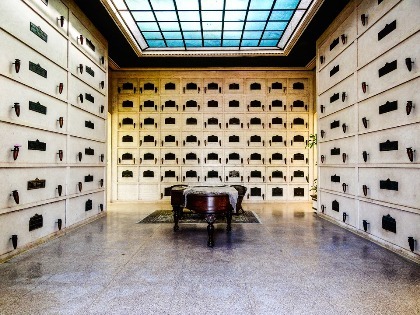 The final act of mourning is when the family would return after a year to gather all the bones and place them with the bones of other family members on another shelf or the floor. This is now the secondary burial, also referred to as ossilegium. Note: Having been influenced by Roman and Greek practices, Jewish burial became much more costly. Part of this extravagance was to take the bones of the dead and place them in an ossuary (bone box) with the name of the dead written on the box, instead of placing them on a shelf or floor. Burial customs from about 20 BC to AD 70 in the vicinity of Jerusalem involved a re interment of the bones a year after the initial burial, once the flesh had rotten away. In the Jerusalem Talmud, it says, “When the flesh had wasted away, the bones were collected and placed in chests (ossuaries). On that day (the son) mourned, but the following day he was glad, because his forebears rested from judgment” (Moed Qatan 1:5). I believe it is this secondary burial that is in view in Jesus’ response. 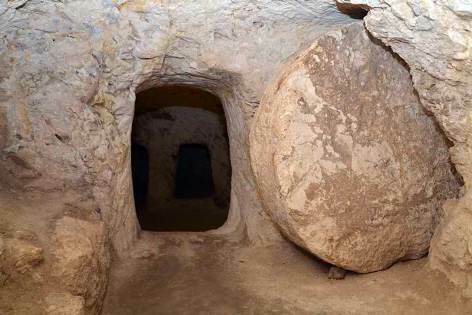 As Jesus would have never told someone not to bury their father, the only conclusion is that the man was referring to this second burial. The disciple’s request and Jesus’ response make good sense in light of the Jewish custom of secondary burial. When the disciple requested time to bury his father, he was actually asking time to finish the rite of secondary burial. His dead father had already been placed in the family burial cave; his family had gone through shivah and shloshim, and he was requesting anywhere from a few weeks up to 11 months to finish the ritual of ossilegium before returning to Jesus. When Jesus said, “Let the dead bury their own dead,” in reply to the disciple requesting for a leave of absence to go bury this father, He must be referring to two different kinds of dead in the tomb: the bones of the deceased which had already been placed in ossuaries and the fathers who had yet to be buried. The phrase “own dead” indicates the inclusion of the fathers among the dead. It should be noted that traditional Jewish burial customs require dead family members to be buried in a common family sepulcher. So in the tombs, along with the fathers, were other family members who had died, some awaiting secondary burial, others already placed in ossuaries. Does Jesus forbid Christians from burying their dead family members? No! Does Jesus forbid second interment? Not at all! Jesus does not condemn primary and secondary burials but how you conduct your burial is what matters. We may have some traditions that do not line up with the Word of God before we came into the knowledge of our Lord and Savior Jesus. Most of us try so hard to hold on to them and we don’t want to let go, especially those funeral activities we inherited from our forefathers. But now that we are in Christ, we must put the Word of God above any other authority. We must prioritize the Kingdom of God above anything else and be faithful to our calling. God and His kingdom must take first priority in our lives. When the disciple asked to be removed from following Jesus for 11 months, Jesus rebuked him in order to challenge and encourage him to faithfully follow Him. 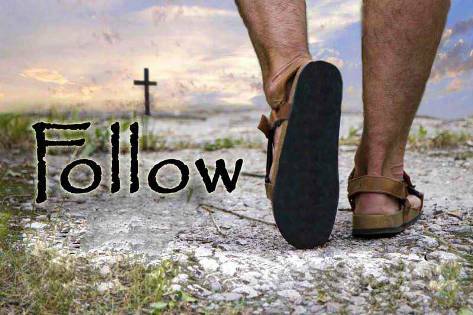 Jesus was letting the disciple know that following Him must take first priority (Matthew 10:37-38). The disciple’s request for a leave of absence in order to bury his father meant a long postponement of the discipleship Jesus was offering him. Jesus’ reply may have sounded harsh but so as His words in many other places such as in Matthew 10:37-38 & Luke 14:26. Of course, Jesus does not advocate actually hating one’s family. What He was saying is that everyone who wants to follow Him has to love and serve Him more than anything else, their own lives and even their own families. There is a sense of urgency to go preach the good news of salvation into all corners of the earth, especially now that we are already in the last days. Jesus would come back at any time so we must be all the more eager to fulfill the great commission (Matthew 28:19-20). I thought about this verse today when I started thinking about Mother’s day approaching and how the families fill the cemeteries and rehearse the funeral all over again. And you hear the crying and wailing all thru the air. I thought to myself, “Lord, Easter (Resurrection) Sunday is approaching. Life is what we should be celebrating. The life more abundantly that you gave us.” Jesus conquered death and the grave. Once I was dead in my sin, now I’m alive in Christ. My loved ones that died in Christ are alive in Christ. After the initial burial I refuse to revisit the grave 3-4 times a year for just as the angel said to Martha and Mary, “The grave is empty.” I choose to spread life, hope, joy and peace by telling others about Jesus. Can you imagine how many people would come to know our Lord and Savior the God of life if we would be sharing the gospel instead of standing at the grave sad, heart broken, crying, depressed and longing for the return of our loved ones (who wouldn’t return for all the riches in the world)? We cannot live a life of Life and Hope if we stay at the grave (mindset of lingering at the burial). We must be about our Father’s business. You’re absolutely right. We should be celebrating life because our loved ones who have gone before us aren’t in their graves; they are very much alive in the presence of God. Although I am not totally against visiting the graves of our loved ones who passed away, I do not agree with what most people do today like crying and mourning. We are to bury our loved ones who will go before us, we mourn but not in the way that people who have no hope do. The apostle Paul says we should not mourn like those who have no hope because if we believe that Jesus died and rose again then we know that when Jesus comes, He will bring them with Him (to be reunited with their resurrected glorified bodies) and then we who are still alive will be caught up together with them in the clouds to meet the Lord in the air (1 Thessalonians 4:13-17). What a joyful day that will be when we will be reunited with out loved ones. In the meantime, we should live our life doing God’s will and we must use every opportunity to share about Jesus and the hope that we have in Him. Thank you for sharing your thoughts, Monica. God bless you more! So many times, we’re so caught up in getting information fast, that we don’t take the time to process and analyze it. At my church, the congregation just listens to the pastor preach his perspective on a bible verse, but when the interpretation is something completely out of left field, no one bats an eyelid. I think people should consider reading into a verse, including the context and situation, before applying it to justify their opinion. Matthew 8:22 is exactly one of those examples that can be misinterpreted. Thanks for sharing and offering clarification. You’re absolutely right! It is important that we take time to analyze every Bible passage or text we’re reading so we’ll know how to properly apply them in our lives. We should be more like the Bereans “who received the words with all readiness and searched the Scriptures daily to find out whether these things were so” (Acts 17:11). I think that misinterpreting the Bible is something we all do at one point in our life, but if we study the Bible more and are open to other people’s opinions, a lot more passages would be more clear. I got a whole new insight about that passage anyway, thank you very much for sharing it. I’m looking forward to reading more of your articles! You’re absolutely right Justina, we are all guilty of misinterpreting some Bible passages that’s why we need to apply hermeneutics or the art of biblical interpretation. Very interesting, and enlightening article. This explanation, and conclusion make sense, and makes me feel better about those passages you mention because I also often hear different interpretations of them from fellow Christians. I am looking forward to reading more of your articles on this most intriguing site. Thank you for putting this together. Well done. When reading and interpreting Bible passages, it is important to always interpret them based on context or we will end up with various interpretation. We don’t want that because wrong interpretation will lead to wrong application. One of my mentors, a pastor and Bible school teacher, always tell me that there are no new teachings or doctrines in the Bible. The message that Jesus had been teaching and what His disciples taught remain the same up to today because the Word of God will never change.